Captain Phil Hill has been fishing the Laguna Madre Bay of South Padre Island Texas for over 30 years. He fishes top water, plastics, as well as live bait on his 18' Shallow Sport! 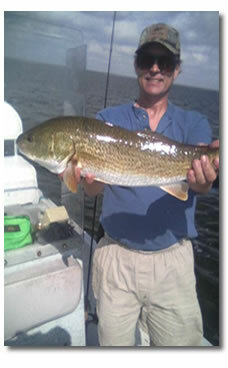 He has been a local of South Padre Island for 37 years and knows the waters of the Laguna Madre very well. He can put you on the Redfish, Trout, Snook, and Flounder. You can tage and release, throw back just for the sport of it or best of all take 'em to the local restaurant and have them cook 'em up just the way you like 'em. Not to worry, Captain Phil will clean your fish for ya. You just catch 'em and eat'em. To experience the best fishing of South Padre Island, Texas, call Captain Phil Hill. Fishing trips include all your tackle, ice and bait. We start out at sunrise, 6:30 am and fish until noon. Copyright © 2006 - Captain Phil Hill, All rights reserved.